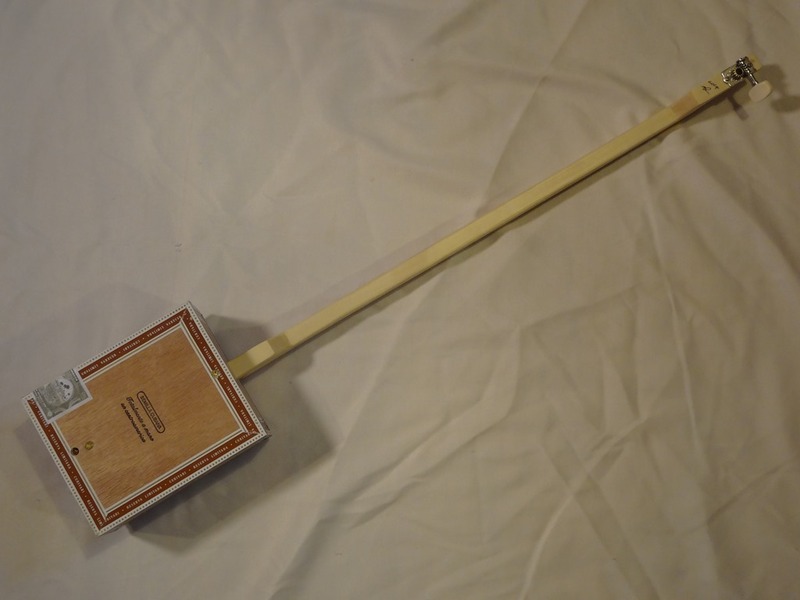 The R Brand elves have done it again. 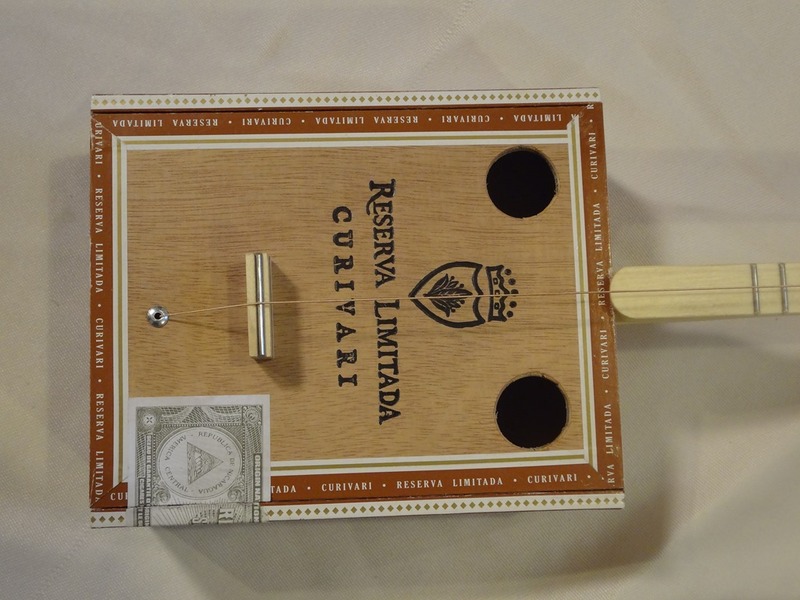 We found some more small cigar boxes and this is what they made. 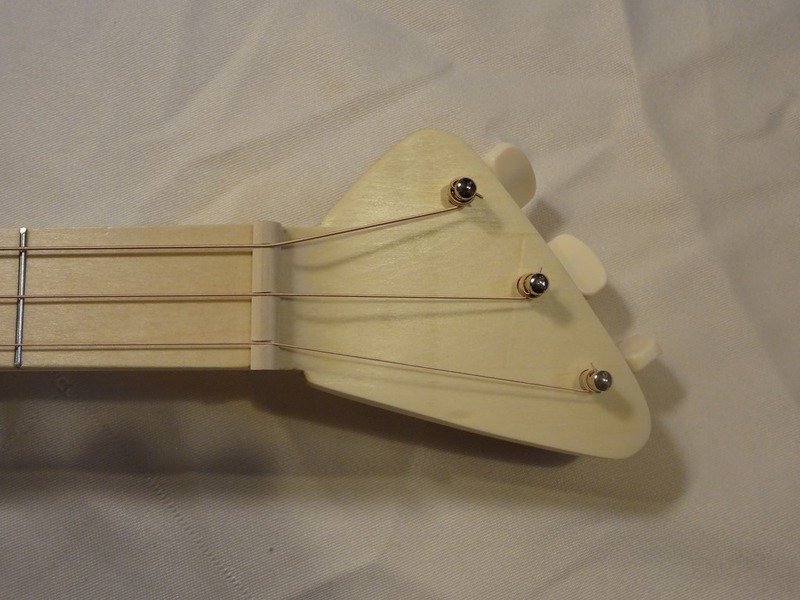 A great looking little one stringer with lots of body and tone, a couple of sound holes let all the sound out or plug her in and let her wail. 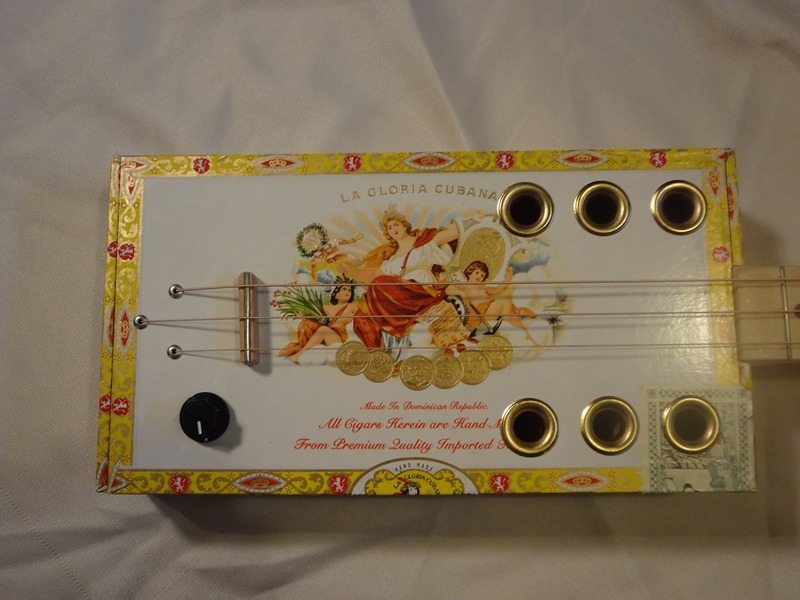 So much fun to play. 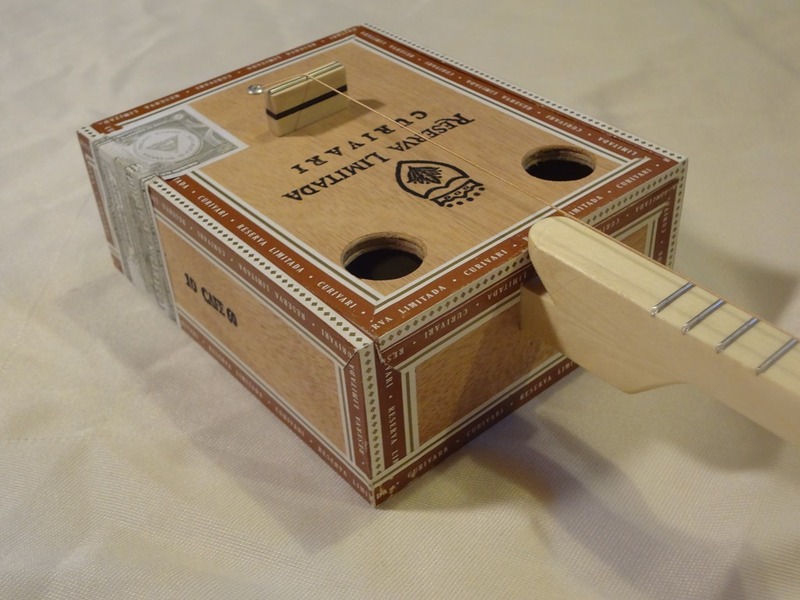 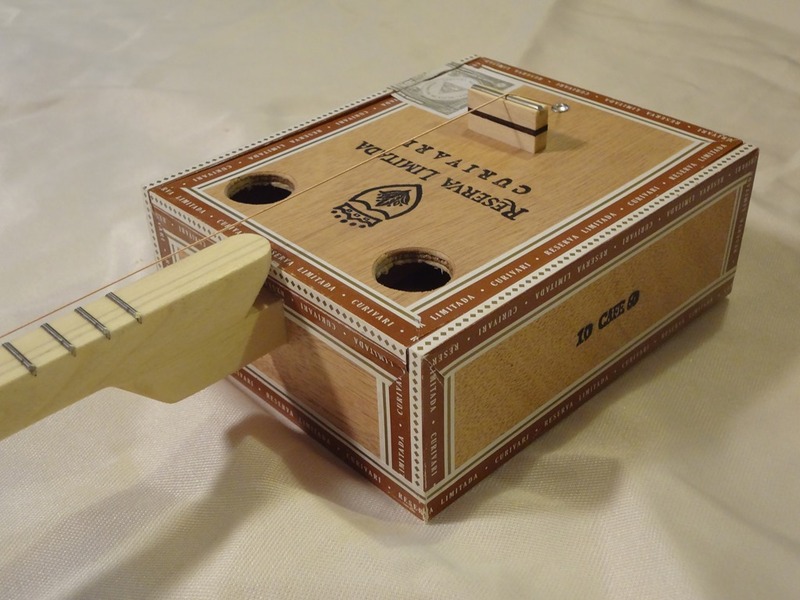 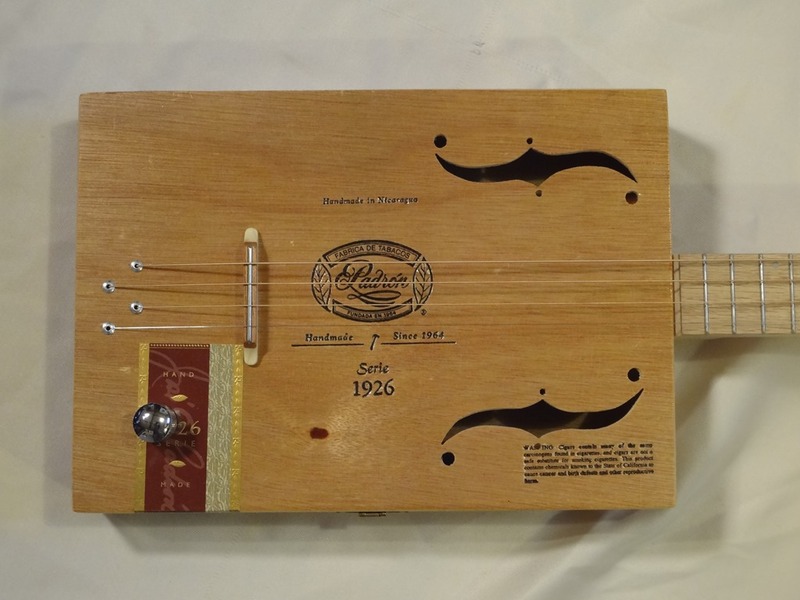 This four string cigar box guitar is just awesome, the large Padron box has plenty of room giving a great tone and lots of volume (to be honest this is one of the loudest cigar box guitars we have built). 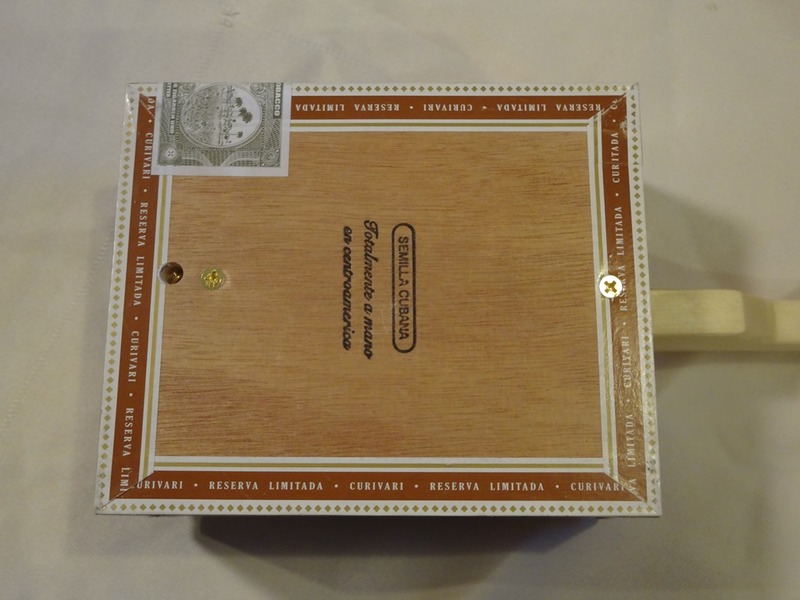 The stylized ‘f’ holes work perfectly with the vintage style box. 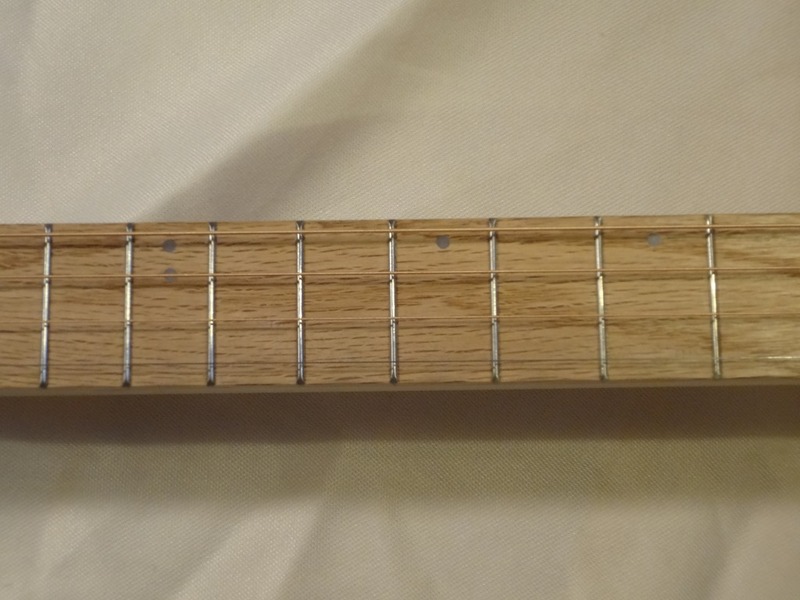 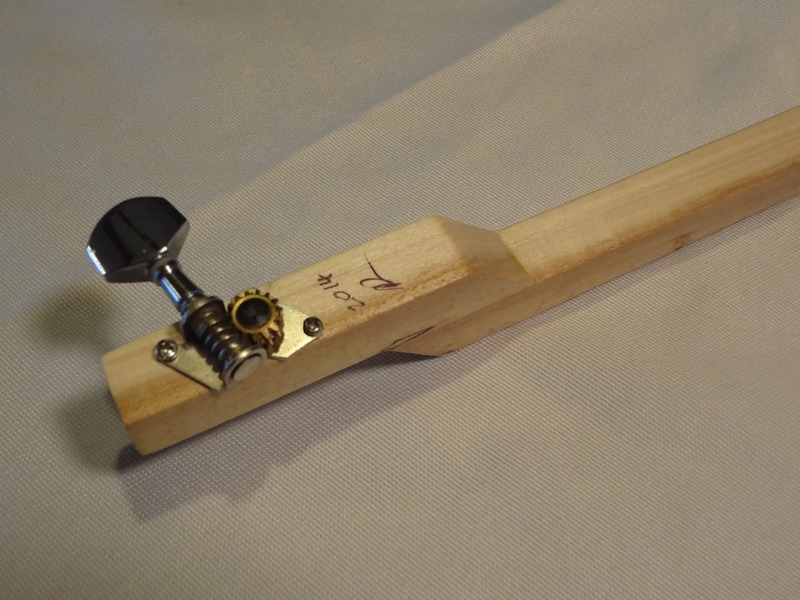 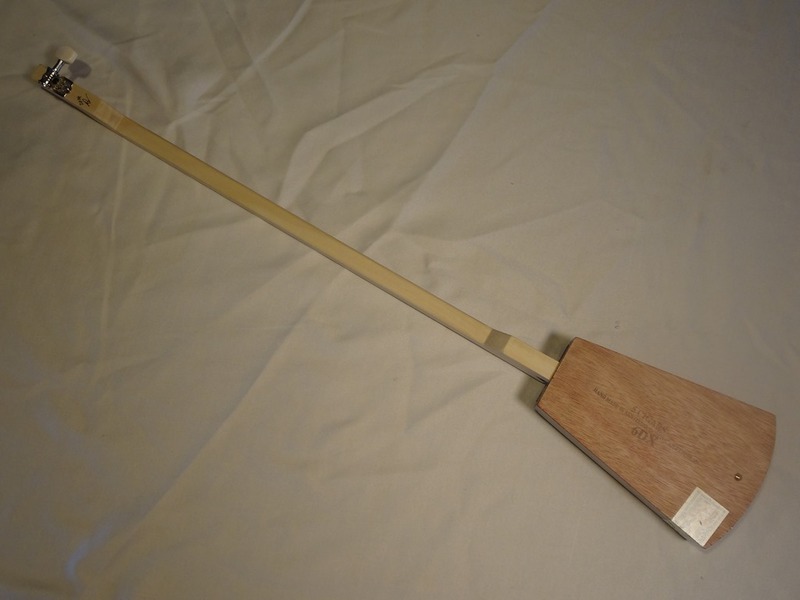 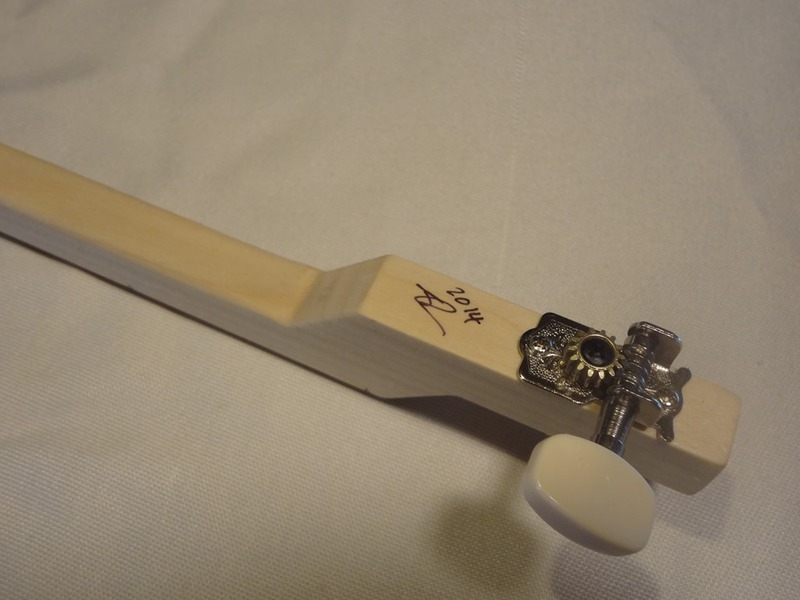 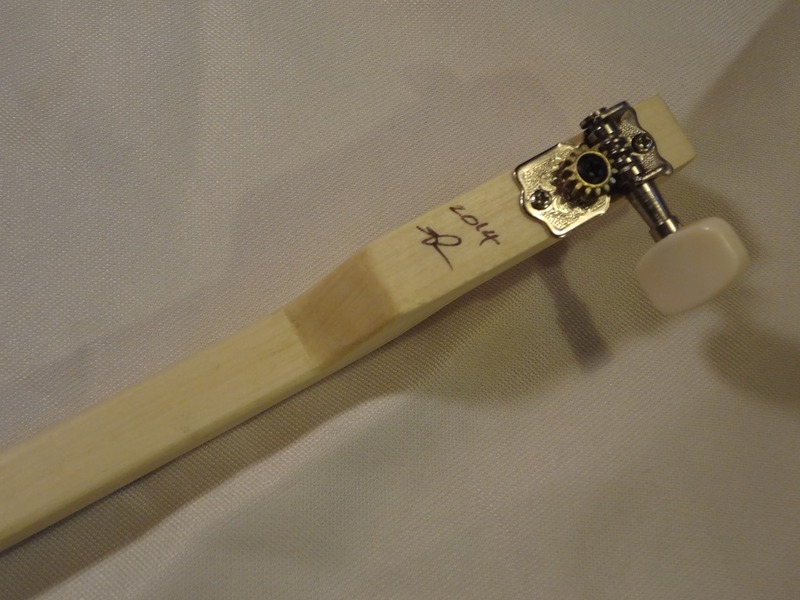 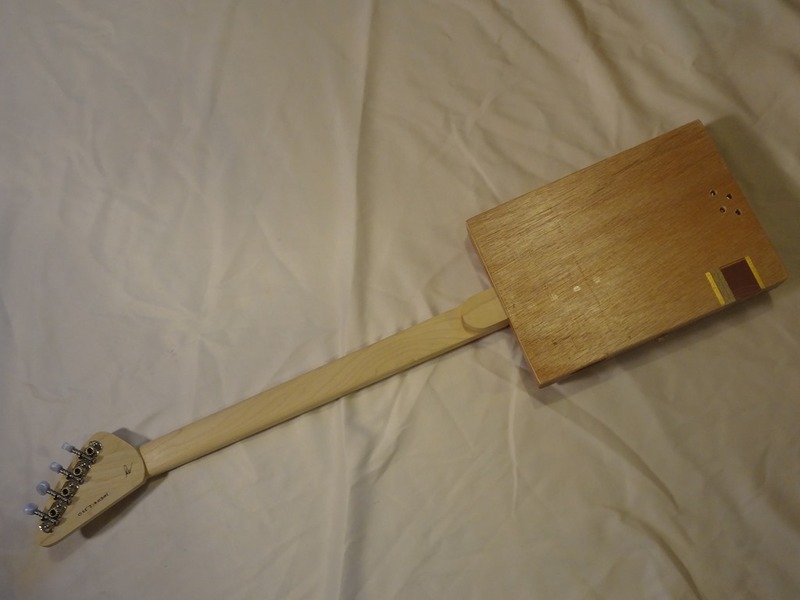 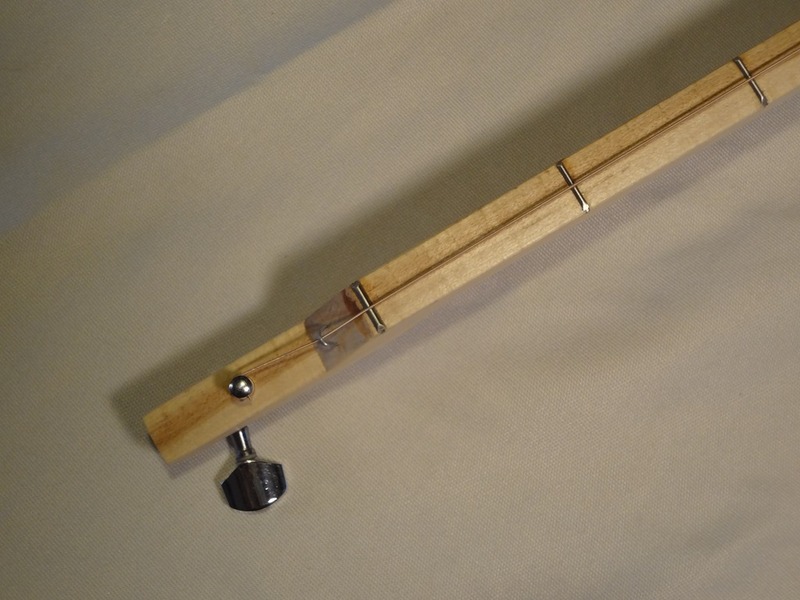 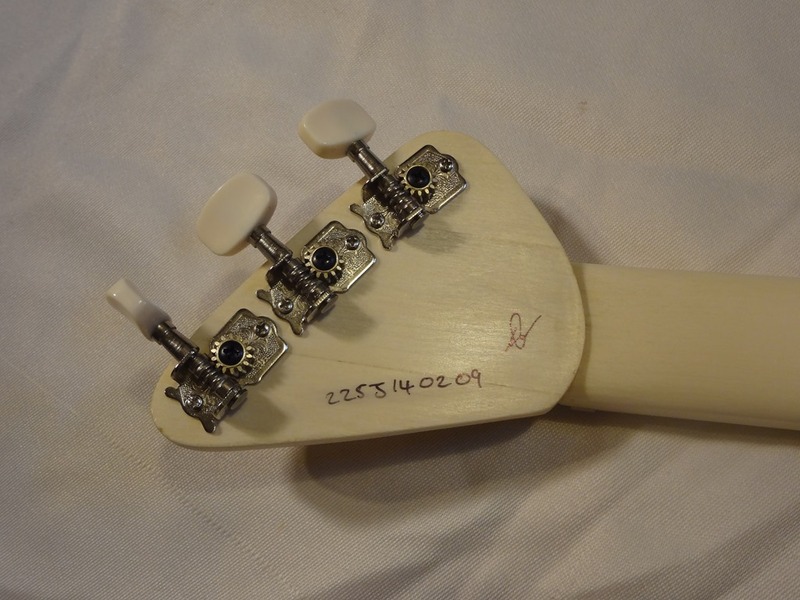 We used a Poplar neck and topped it with a Red Oak finger board and small white fret markers. 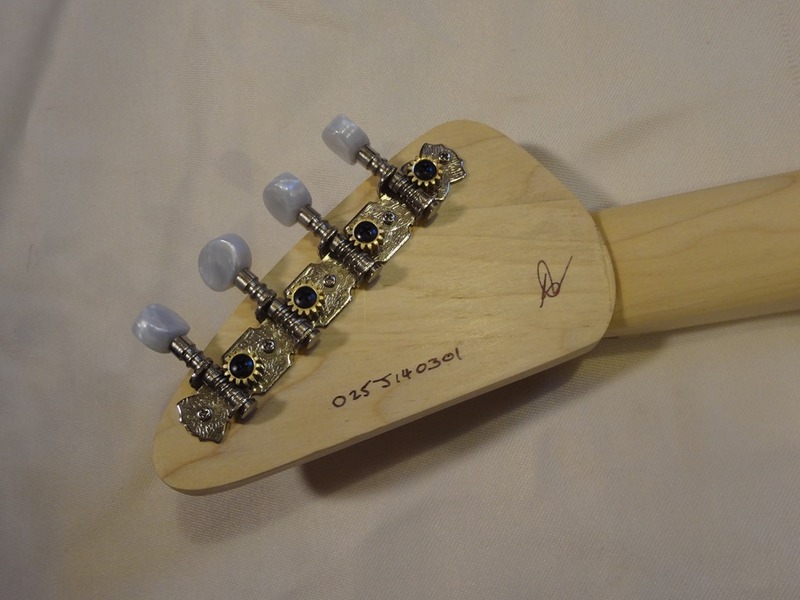 The guitar has a wonderful warm tone with plenty of sustain, plug her in and she is ready to sing the blues. 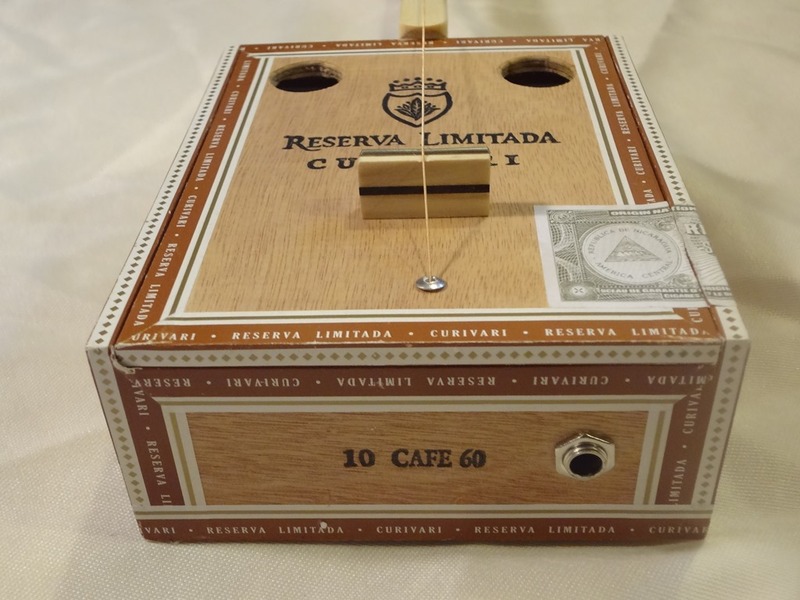 We finally found some more tins for our one string canjos and this is the result. 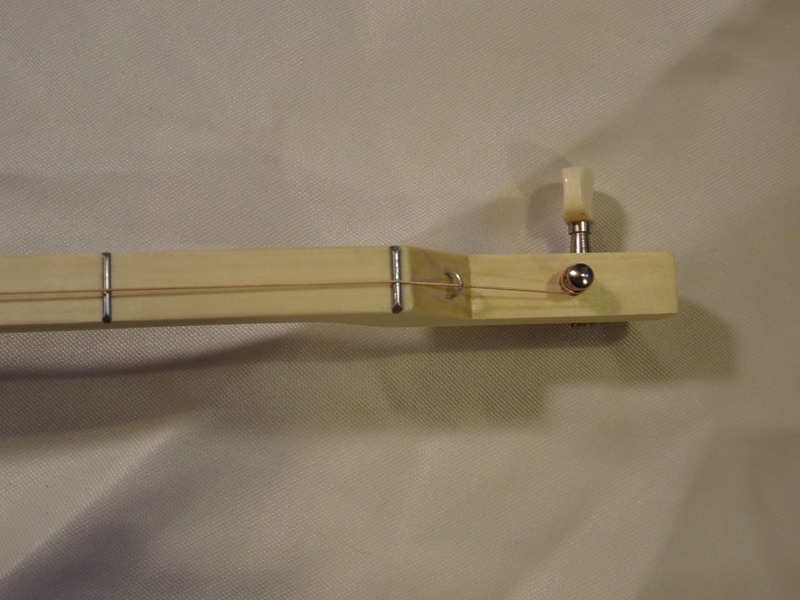 The R Brand elves have been hard at work this week cooking up one stringers and I must say they have been doing a fantastic job. 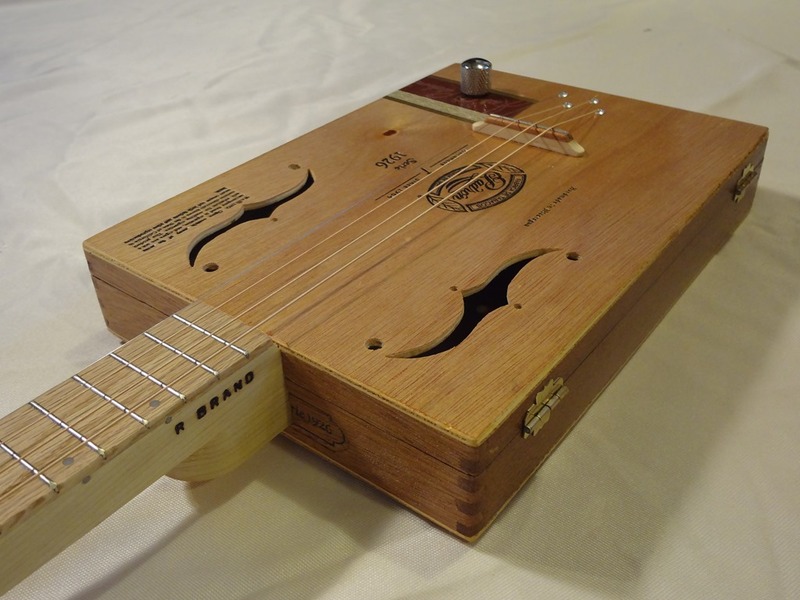 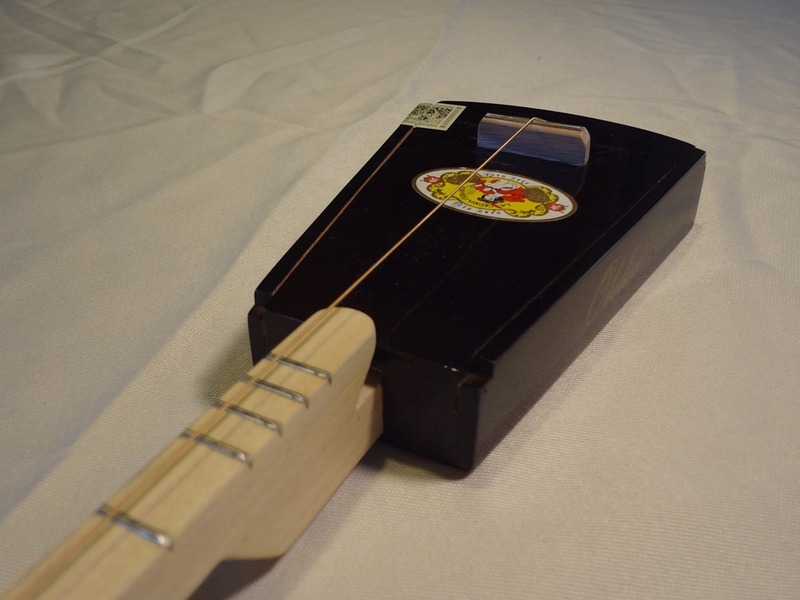 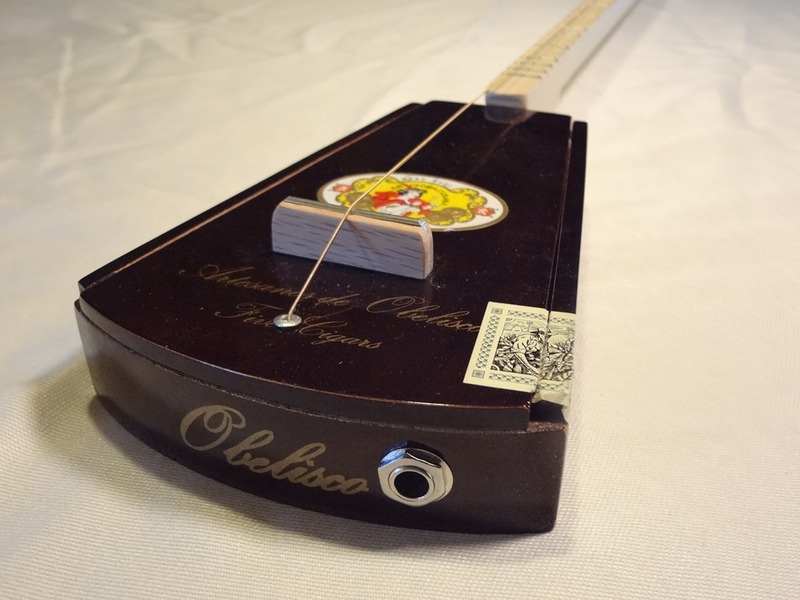 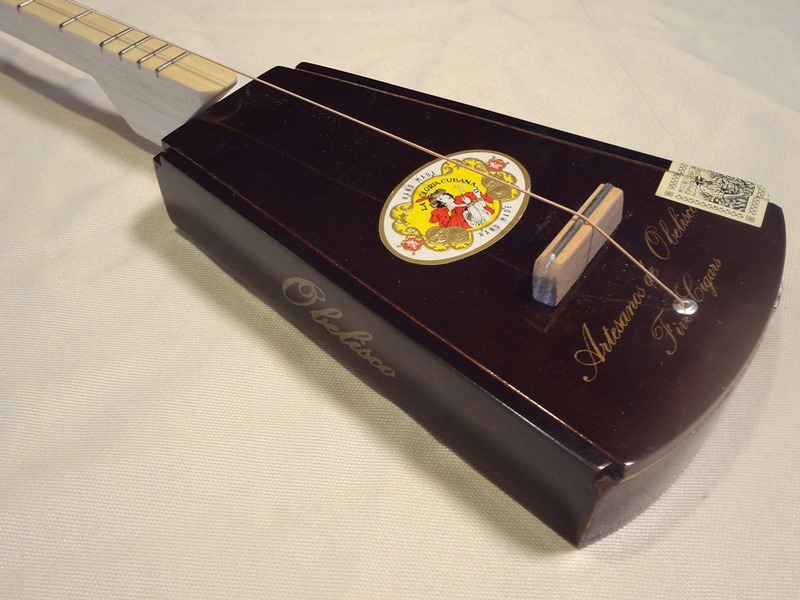 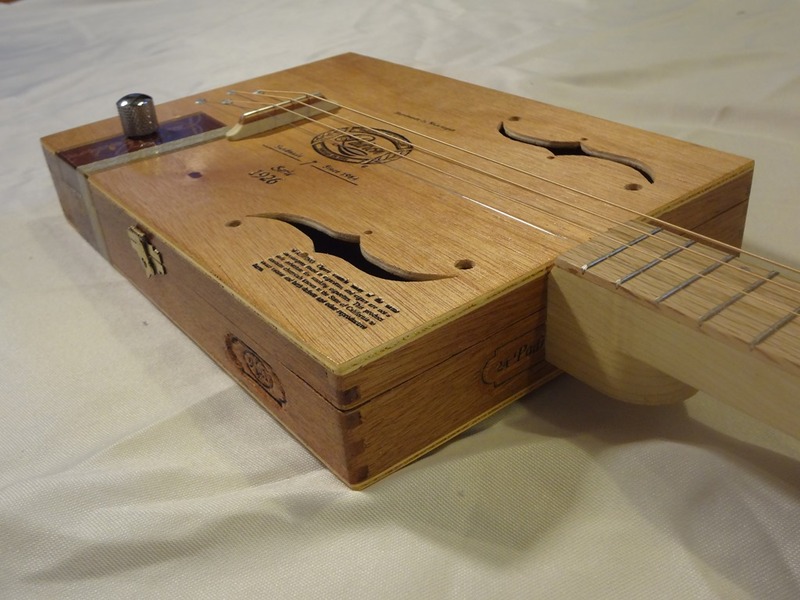 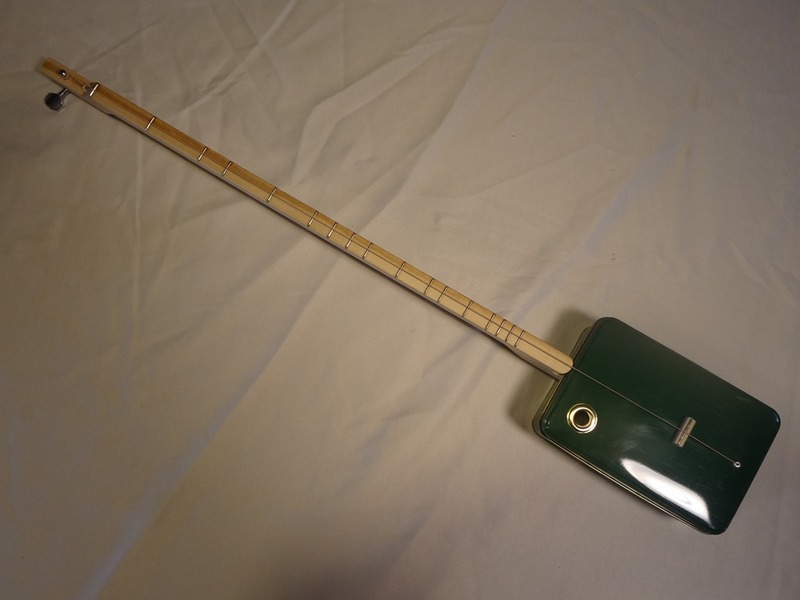 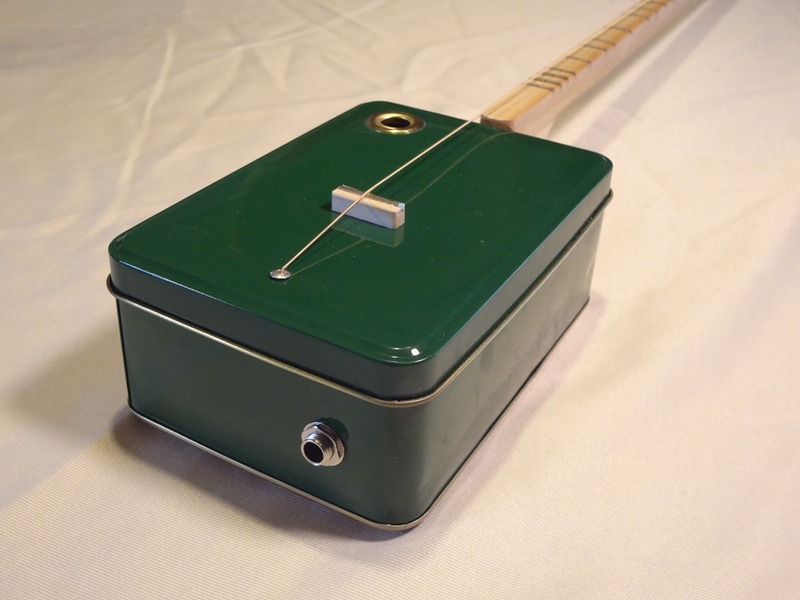 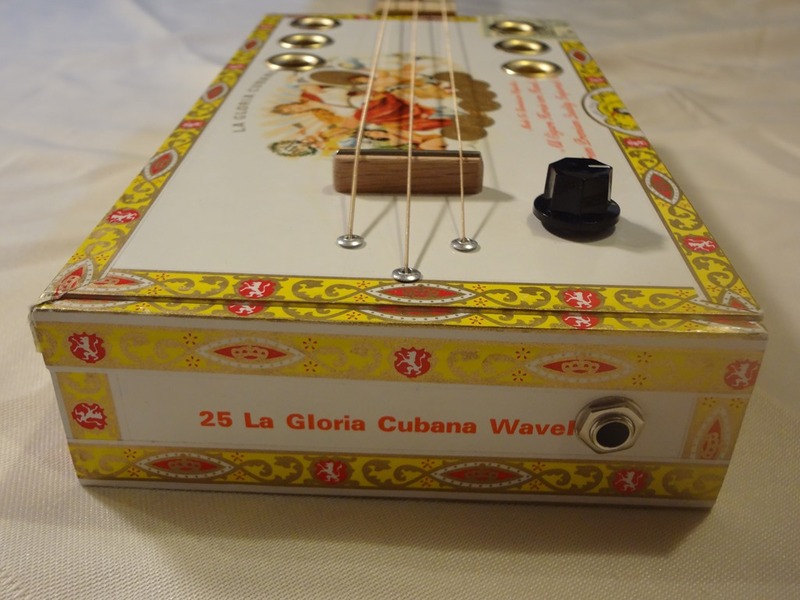 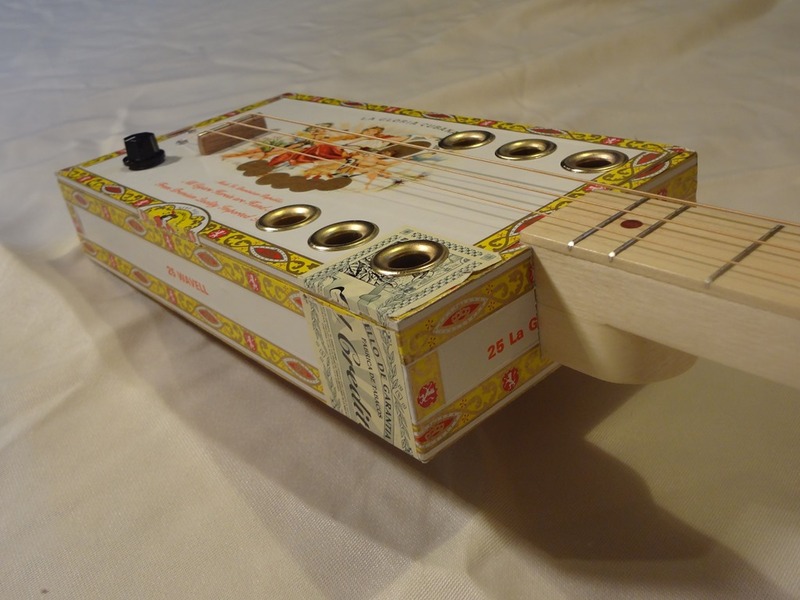 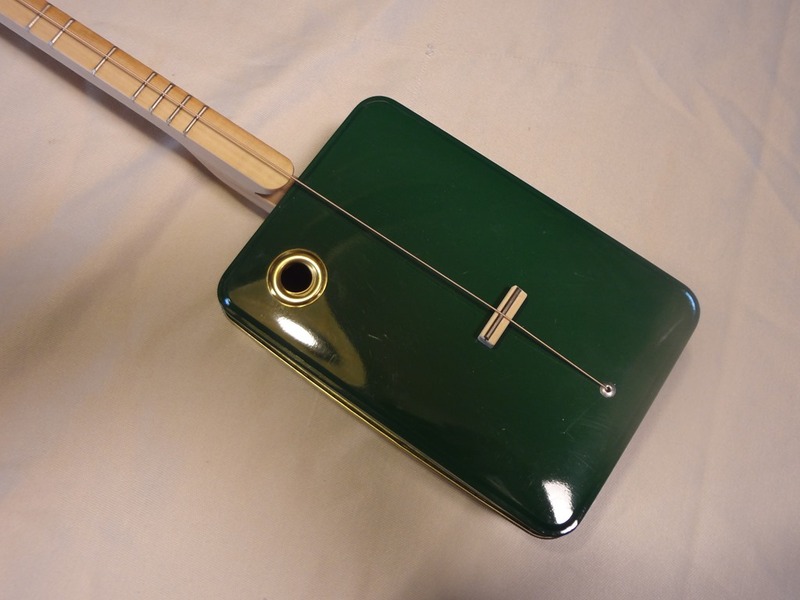 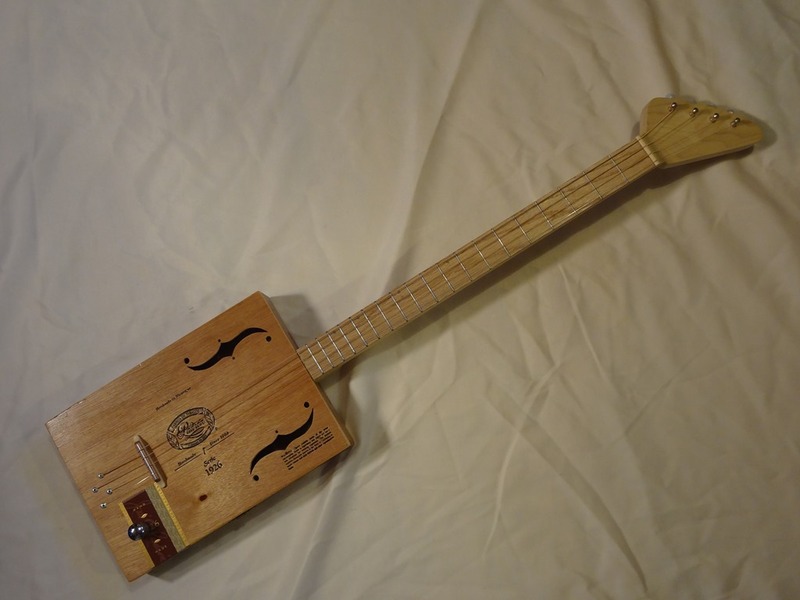 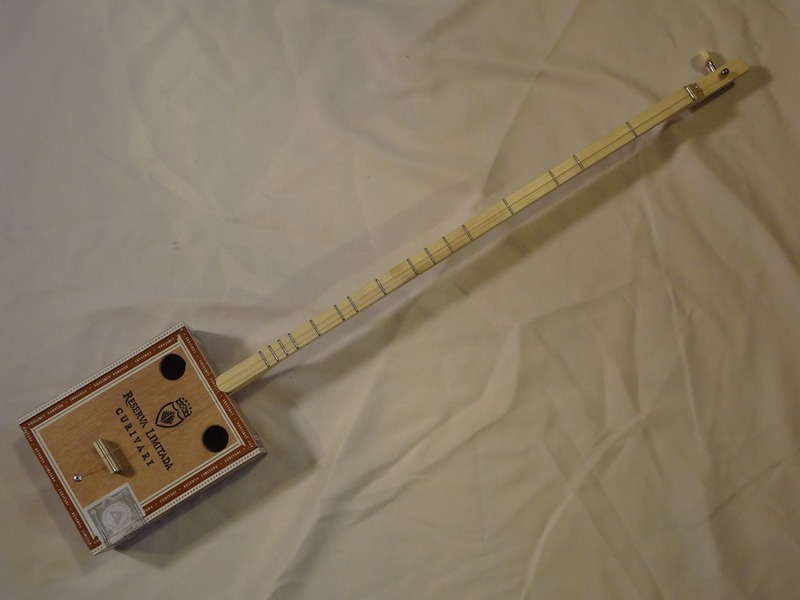 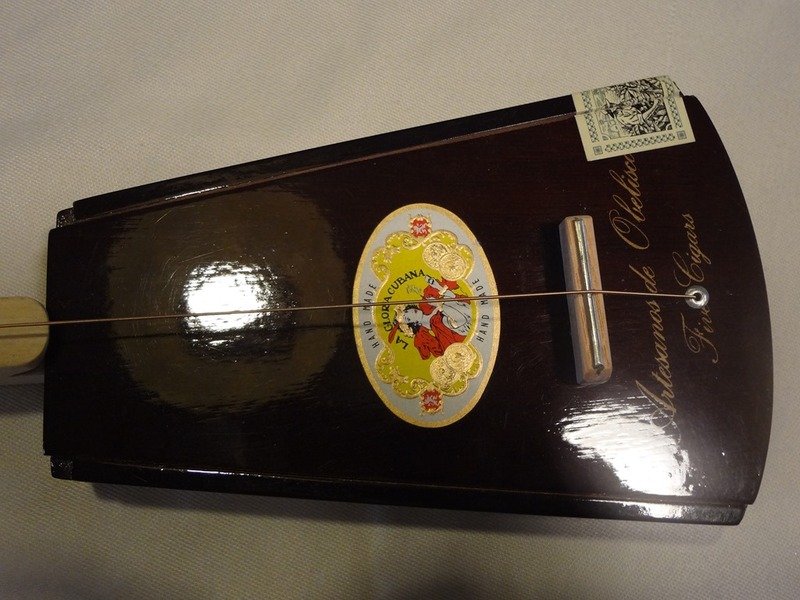 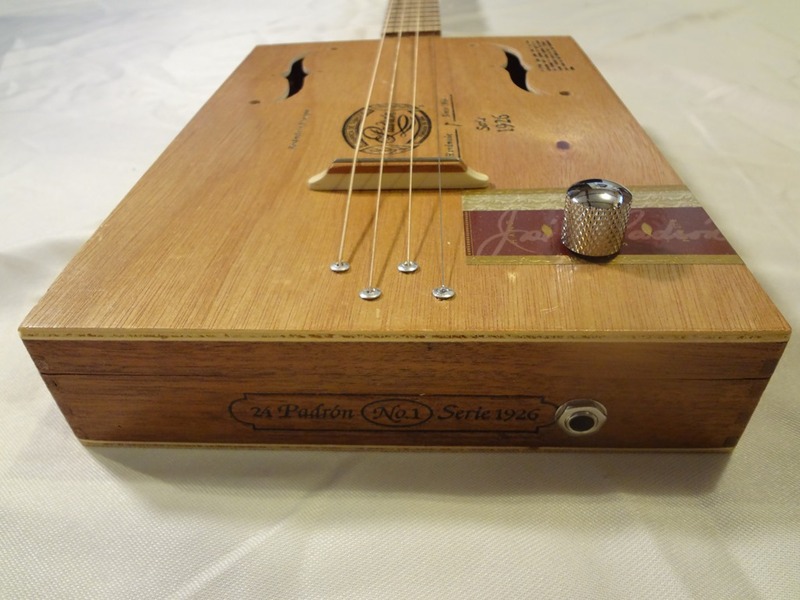 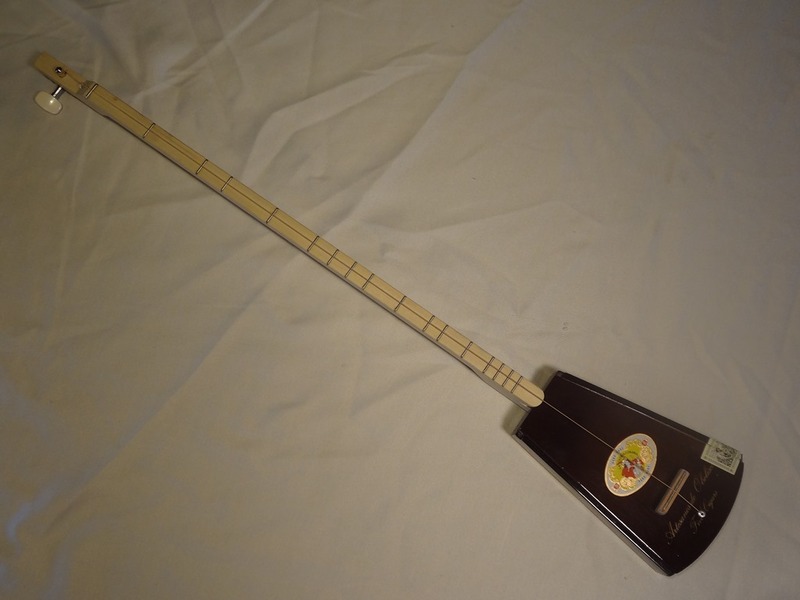 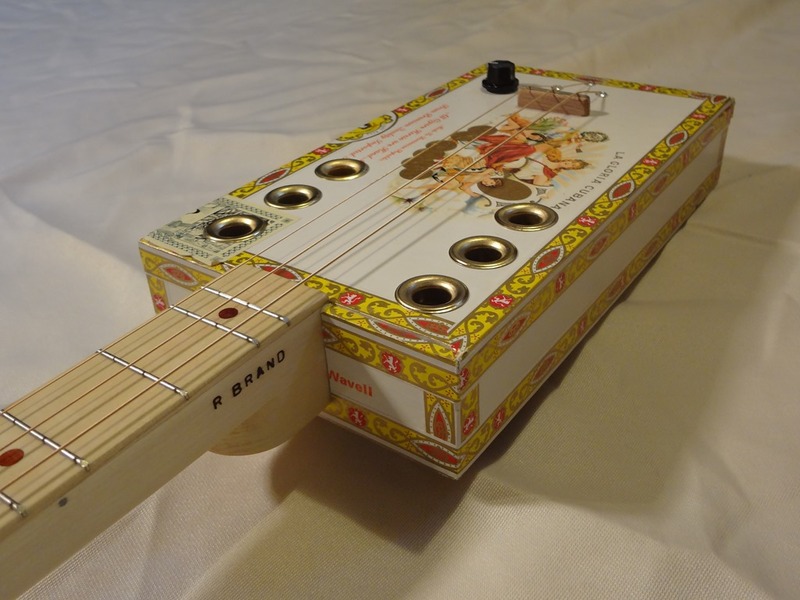 This little gem is a one string cigar box guitar and we think she absolutely stunning. 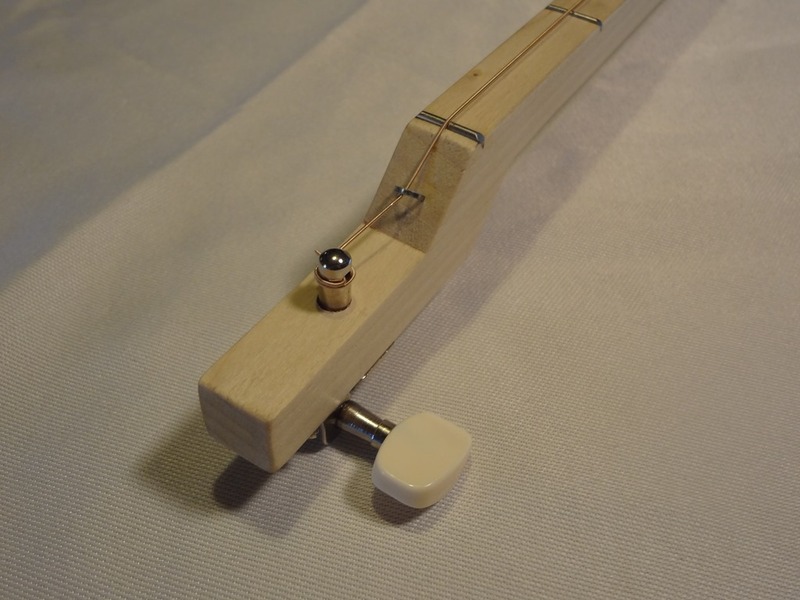 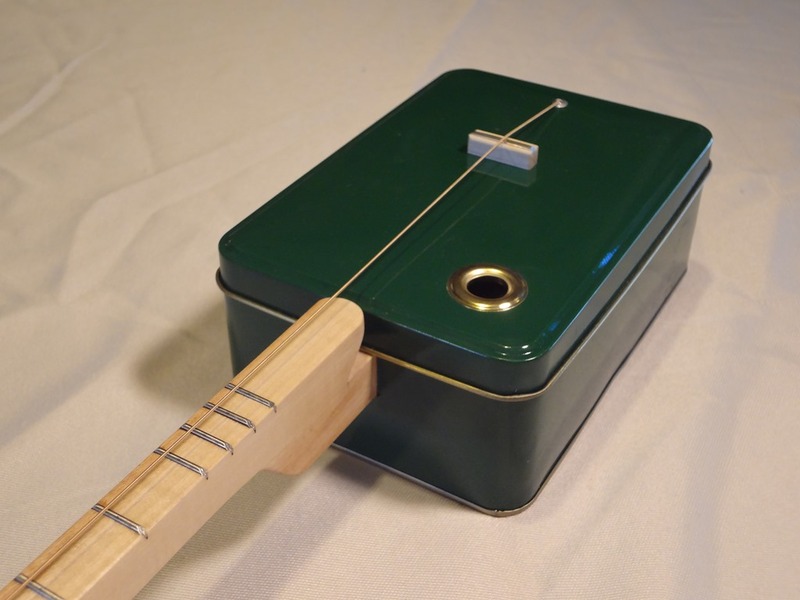 The box works great for the aesthetics of the guitar but also sounds good too, she’s a little softer sounding compared to the tin can one strings we make, this is mainly because the box is all wood. 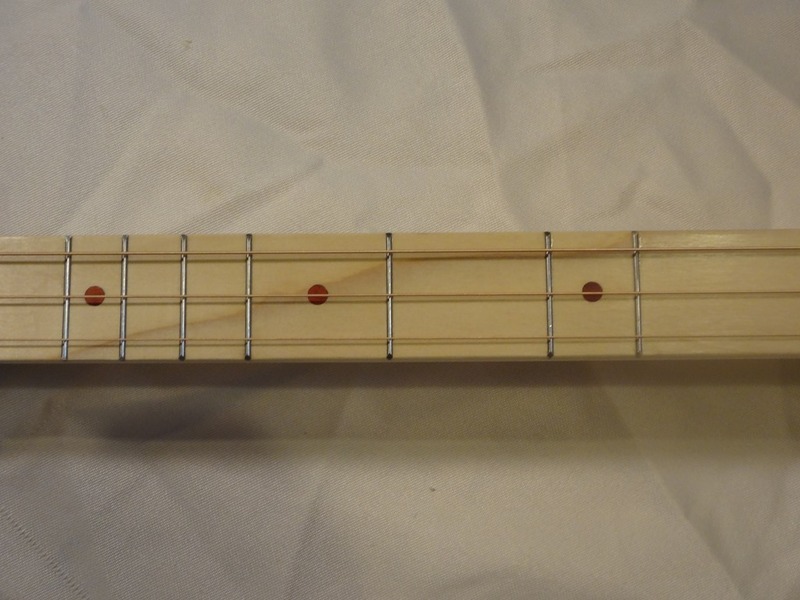 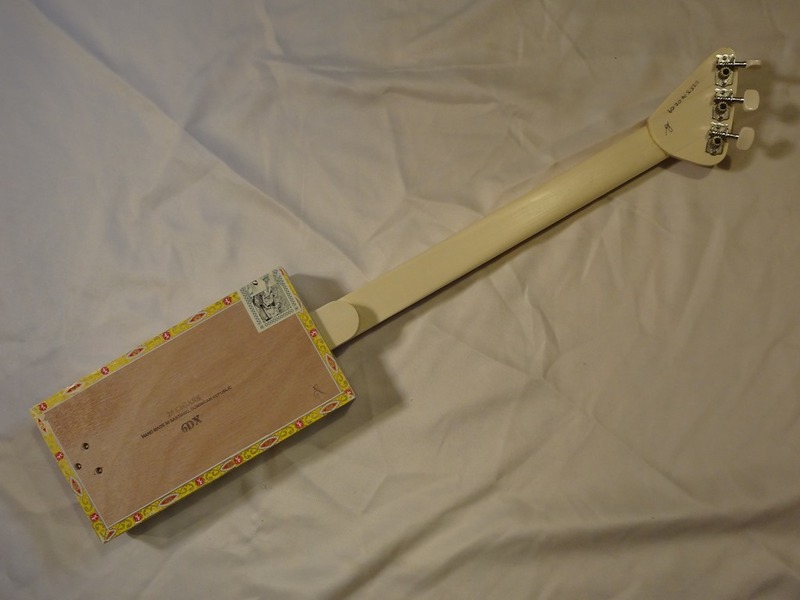 22.5 inch scale, diatonically fretted and just a whole lot of fun. 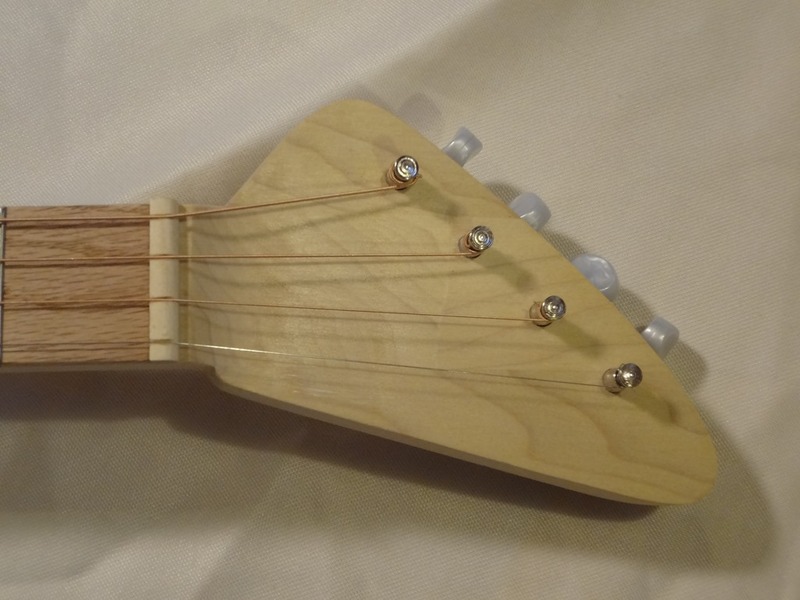 This little guitar is a blast, nice short scale and fretted diatonically makes it so much fun you wont want to put it down, I know we cant. 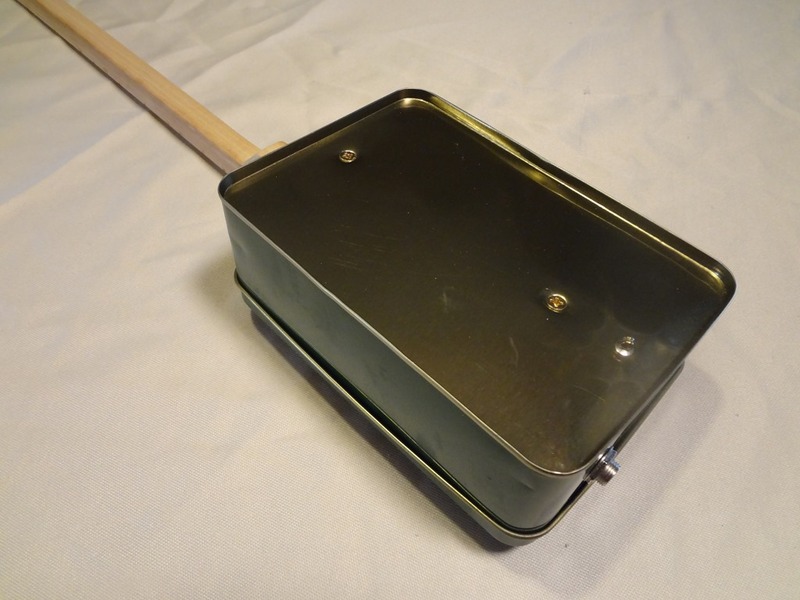 Plenty loud enough on her own for jamming at home or plug her in and rock out with the band. 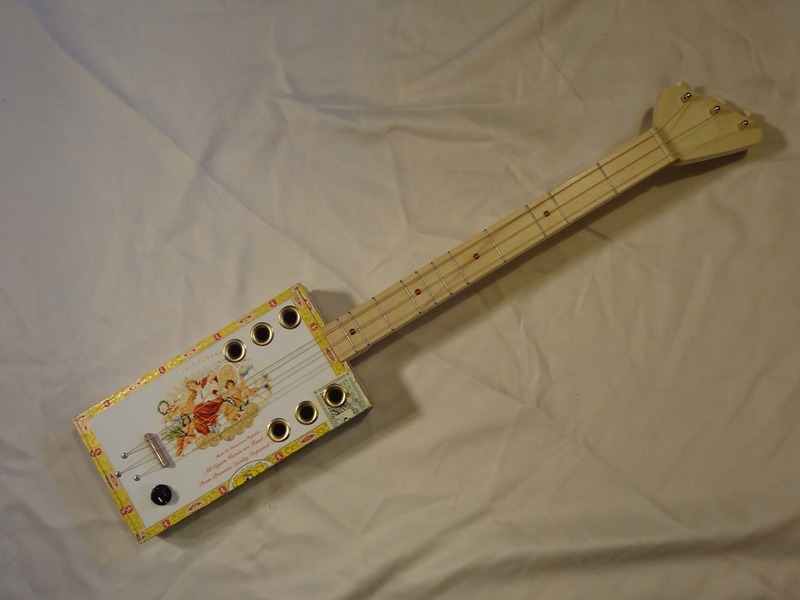 She has a nice full bodied voice and plenty of growl through the amp.